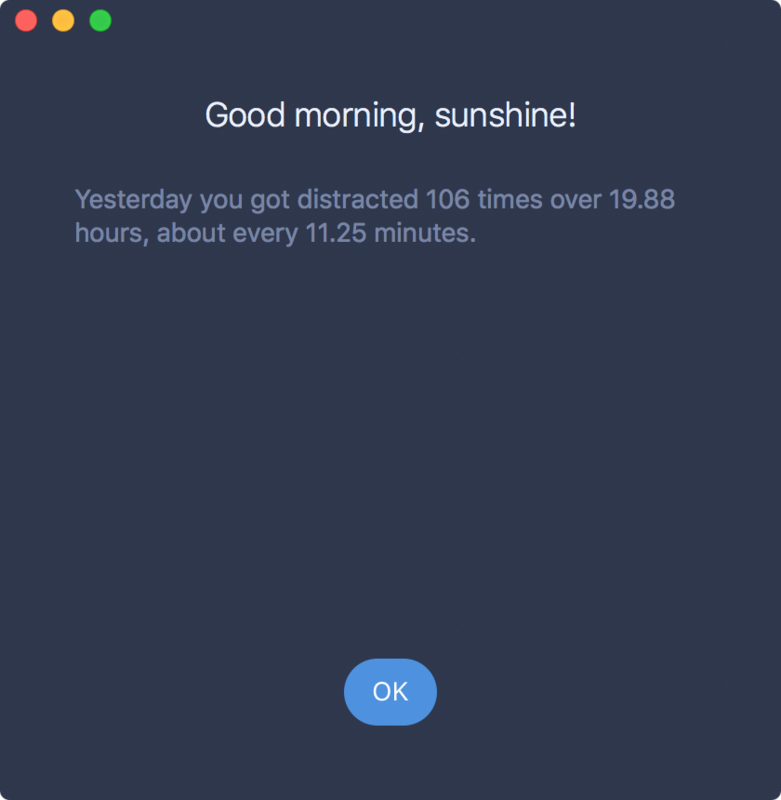 That’s the idea behind the creation of an awesome free app for your Mac called Escape by FocusList, which tracks how much you slack off each day and provides you with a daily report for your viewing pleasure. 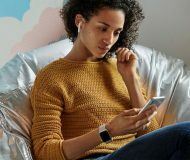 In this piece, we’ll give you a look at the software and how it works; you might even find interest in trying it out for yourself! Because all of the distractions we call social networks, video sites, and shopping sites are just a click away, it can be easy to launch a web browser and start to get lost in the black hole of YouTube, your Facebook news feed, your Twitter feed, and more. When you have work to do, getting entangled in such activities will waste your time and prevent you from being truly productive. Escape by FocusList was created in an attempt to get you to take a closer look at just how much you slack off during your work day. It provides you with a daily report of the non-productive things you used throughout the previous day, and lets you know just how much time you spent doing things you could have avoided instead of getting your work done. The app provides a timeline that displays how many instances you’ve used the app during the time frame, and shows you how many interruptions you’ve encountered as well as how much time in between each interruption there was. Escape by FocusList adds a new icon to your Mac’s Menu Bar you can click on to either open the app’s interface, or quit the app altogether. The app runs in the background on your Mac, so there’s no need to do anything else. By default, the app starts up automatically each time you launch your Mac, so you don’t have to worry about forgetting to start the app up and keeping it from doing its job. On a day that you don’t intend to work, you can simply quit the app and it won’t track your usage. Opening the Escape interface will let you take a peek at your progress in keeping yourself from being distracted. Quitting the app will keep it from further monitoring your progress. Once you click the blue OK button, you’re ready to rock and allow the app to continue tracking your slack-offs for your work day. I think the idea behind Escape by FocusList is really cool. 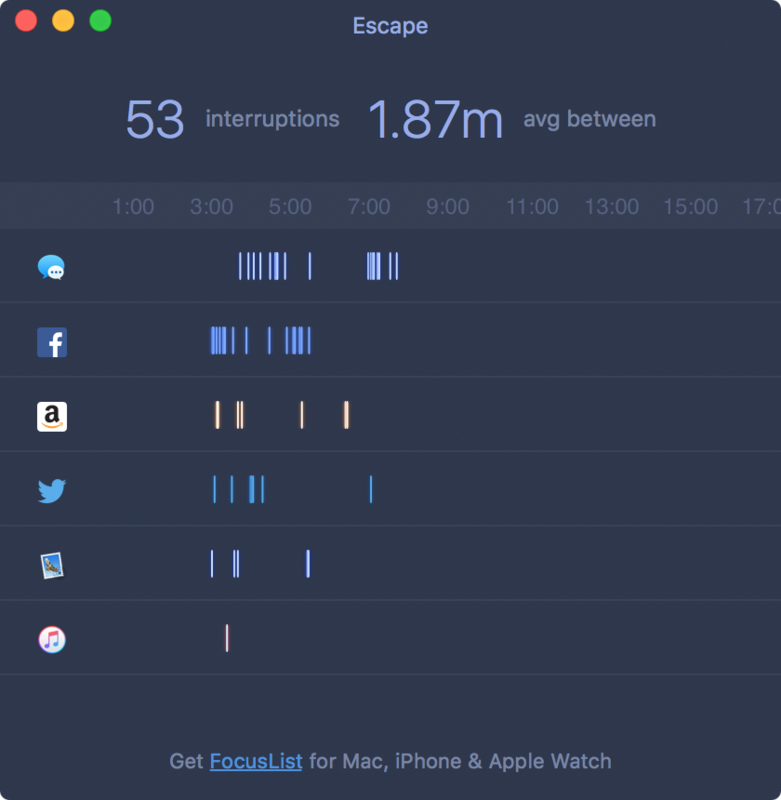 Although the app doesn’t block distractions like the all-too-cool Focus app for Mac does, Escape will let you see a comprehensive list of your distracting app and website usage while it keeps track of your day in the background. When you get that end-of-day report from Escape, you might get a ‘wow’ moment, and realize you’re more distracted than you may have originally thought. As a free app, what it does is pretty interesting, and it’s worth installing if you use your Mac to get your work done just to see how dedicated you really are to your work, compared to everything else. Escape by FocusList can be had from the Mac App Store for free and it provides a good summary of your productivity to distraction ratio. Those who use their Macs to get their work done might benefit from seeing just how much they slack off during the work day. What are your thoughts on Escape by FocusList? Share in the comments!